With a reputation for good quality, great customer service and value for money, it is easy to see why JTX are so popular in the UK. 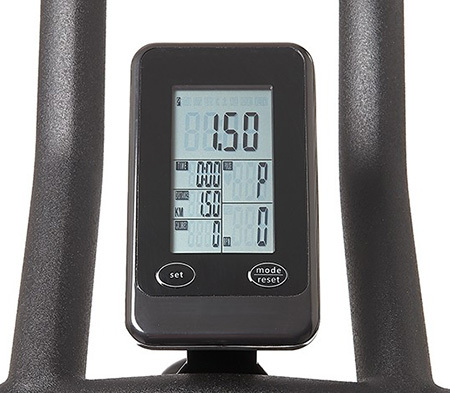 The Cyclo 6 lives up to these high expectations and provides a brilliant workout that will help you improve your overall fitness. 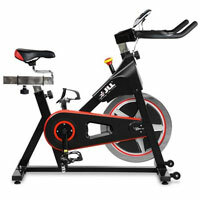 One of the most important features of any indoor training bike is the weight of its flywheel. With this in mind the Cyclo 6 comes with an impressive 22kg flywheel. 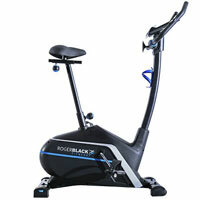 As a result, the cycling motion is smooth and produces infinite resistance that can be adjusted with a turn of a knob. The knob controls a brake that touches the flywheel generating the resistance. 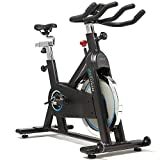 Whether you are looking to have a long steady cycling session or do some high intensity interval training, you will find the perfect resistance for you. In addition, the bike is belt driven instead of using a chain. This helps to minimise the amount noise produced while being used and further helps with the motion smooth of the flywheel. Once you have finished your workout or need to stop quickly, there is an emergency stop button that quickly stops the flywheel. All you do is push the knob down so that it applies the brake to the flywheel. 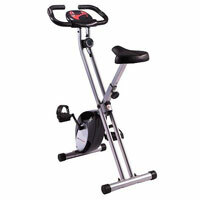 Spinning bikes are often known for being quite comfortable with their thinly padded narrow seats. However, JTX listened to previous customer feedback and upgraded the seat to include extra padding. 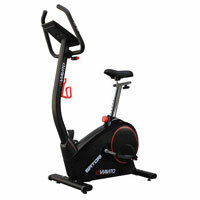 Therefore, the seat is comfortable to use allowing you to concentrate on your workout. Furthermore, the bike is highly adjustable, thanks to the Quadri-set adjustable system. 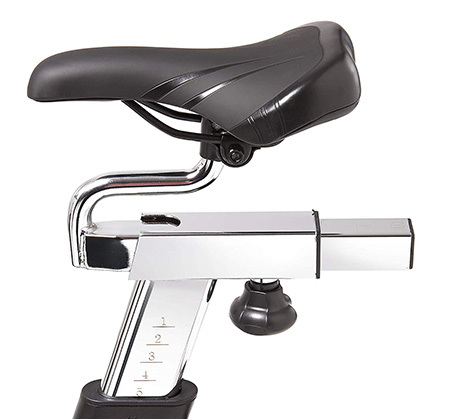 This allows users to move the handlebars vertically and horizontally, while the seat can be altered vertically, and its angle changed. It is a shame that the seat can’t be adjusted forwards and backwards as this would have further helped improve users cycling position. As we would expect with a spinner, the pedals come with a road bike style clip to hold your feet in place. This prevents your feet from slipping off the pedals and potentially causing injury. Despite the minor drawback of the seat the bike is still very comfortable to use. The bike is heavy weighing 66.5kg. Therefore, you may need an extra pair of hands while assembling the bike. Nonetheless, the assembly is well thought out and the clear instructions make it a far less daunting task. Although the bike is heavy, it does show the high-quality of components used in the bike’s construction. As a result, the bike can support a maximum user weight of 160kg. In spite of its weight, the bike is easy to move thanks to the transport wheels on the front of the bike. If you would like a lighter bike, then you will need a model that has an aluminium frame. However, you should expect to spend considerably more. Another feature that JTX improved as a result of customer feedback is the console display. Users complained that it was too small and couldn’t see the metrics easily. Consequently, they made the display larger so that it is easy to see. The console tracks time, distance, speed, calories burned and pulse. In addition to tracking the basic metrics users can also set targets for time, distance or heart rate. This allows you to focus on your workout rather than watching the metrics. The target heart rate feature is particularly useful as it helps keep users working at the optimal intensity over the entire duration. Tracking your heart rate is done by either using the built-in handlebar sensors or chest strap which is included. More often than not, manufacturers don’t include the chest strap monitor with the product. It is nice to see that JTX have made the extra effort and have even including a water bottle. Their attention to detail is what makes them stand out from the competition. The Cyclo 6 comes with a 2-year warranty on parts and labour and a lifetime warranty on the frame. This shows the confidence that the manufacturer has in their product giving added peace of mind. 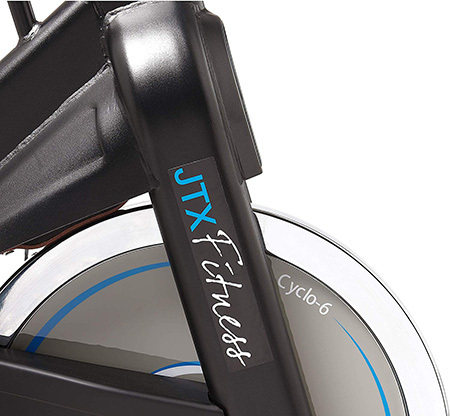 JTX are also known for their exceptional customer service which is an often-overlooked factor when buying fitness equipment. 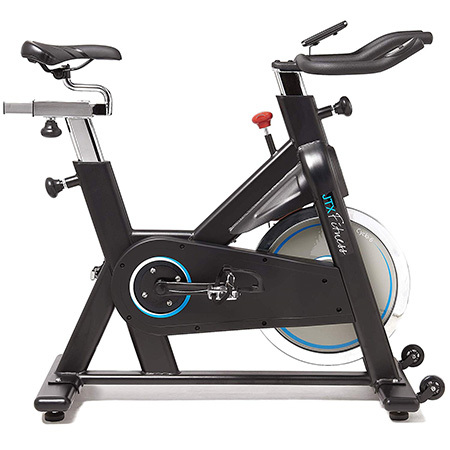 All in all, the Cyclo 6 is a high-quality spinning bike that would not look out of place in your local commercial gym. 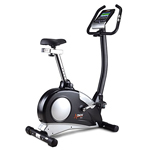 The heavy flywheel ensures a smooth ride with more than enough resistance for all levels of users. For a bike of this quality you could easily spend close to £1000. However, this model can be picked up for just under £500 which is great value for money. There is a reason why this one of the top selling bikes on the market today.